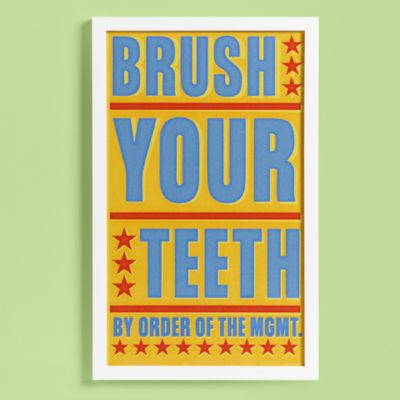 I have seen these cute By Order of The Management prints making their way around blogland. They are so fun, but at $89 a pop from Land of Nod, won't be making their way into my bathroom any time soon. Missy and Kimi from If I Could felt the same way, so they decided to make their own knock off version and they are offering the free printable to you. Totally going in the kid's bathroom!! Cute. But at my house, it also needs to say "...with toothpaste." This stuff is so cute!!! So sorry we had to delete our original download... the artist felt we were infringing on his copyright (and so did his attorney - ouch!). This will help people remember to wash their hands. I'll also try this in my kitchen. Thanks.